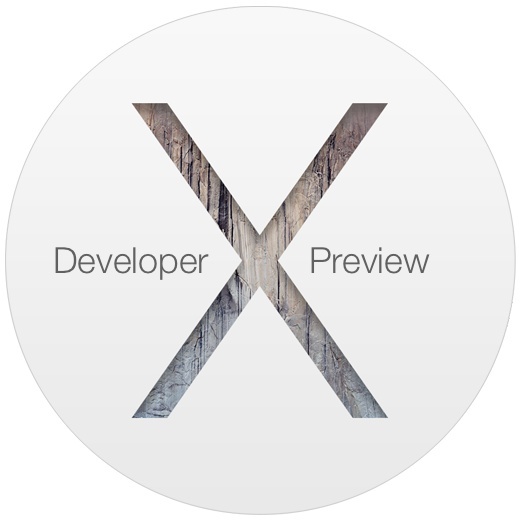 OS X Yosemite Developer Preview 5 has been released to developers who are in the Mac Developer Program. The latest build is “recommended for all users” and focuses on bug fixes and improvements to the developer build of OS X. The build number is 14A314h. Note that Developer Preview builds of OS X Yosemite are different and separate from the newly available Public Beta builds of OS X 10.10, and are updated more often. Users of the Public Beta will not find the Developer Preview updates available to them, and vice versa. As usual, users can update to OS X Developer Preview 5 through the Mac App Store, where it will be available to machines running the prior OS X 10.10 dev preview builds under the Updates tab. Mac developers who are still running Mavericks can also go through the Mac Dev Center on Apple.com to find and redeem an App Store download code and install the latest version. Separately, registered iOS developers will also find iOS 8 beta 5 available to download through the on-device OTA mechanism as well. OS X Yosemite features a revised interface that is flatter and more translucent, many new features, and significant improvements to cross iOS-to-Mac compatibility. The public release of Yosemite is expected to debut sometime this fall as a free download, possibly alongside the release of new or updated Mac hardware. And for OS X Yosemite Public Beta users… Feedback Assistant got an update. Does anyone think Apple cares about Feedback? We’ll find out quickly if they do because Public Beta 2 will include a new font for non-retina users, which is the primary usability complaint that nearly everyone who doesn’t have 500/20 super-human vision experiences. I’ve had zero problem reading the fonts in OS X Yosemite on a non-retina display. My Mac mini is connected to a really nice HP display via HDMI. Everything looks great. I have no problem with the the system font on my 24” iMac, and I’m 57 years old and wear reading glasses. Helvetica Neue is a standard typeface that has been used since the 80s. I’ve been using Helvetica as my web broser font for years. Helvetica is not a screen font. I’m not sure what progressive spirit decides to ditch legacy Apple fonts which are very distinctive and good for screen. Helvetica and flat design is just a ux paranoia and a passing fad. What’s the point of having a desktop system that looks just your iphone? Microsoft made this mistake and they’re paying dearly for it. I am using a 2011 MB Air with the public beta and have no issue with the font…given that, I should wear glasses and I don’t and I don’t have an issue. The GUI Font is great. It’s cleaner and more visible on more devices. I use this font in my dev. Now the over all New OSX look is more like Windows 8 than Mac. It’s flat and unappealing. Love how the only really dimensional looking icon is Safari. And it’s look is more suited to Maps. At first I thought is was Maps. The Compass is a Maps thing. Maybe a Giraffe or Hippo, now that’s Safari. The new UI is a step backwards in the world of Macintosh, a step closer to looking more and more like Windows. Mvrx will be the last great Mac UI. I thought that Mr. Ive was suppose to be bringing all kinds of “newness” to the OS. He’s just copying W8. That’s not new, that’s just copying. That’s what happens to designers when they stop having original thoughts.